I just added a new page to an Xsitepro built local directory called Best of Mchenry for a small town in Illinois. The new page is for people searching for firewood Mchenry. I kind of put this project on the back burner when I met a guy who needed some help selling his firewood in Mchenry and surrounding areas. I had forgotten how easy it was to set up a client using Xsitepro as a CMS system for a local business portal. The beauty behind Xsitepro is it’s linking ability. The client in this case doesn’t have a website so I link back to his main page at Tom’s Mchenry Firewood Delivery. After some minor bookmarking, pinging and submission to rss directories his page was listed at number 6 in Googles organic search engine results for Mchenry firewood. Special featured ad that is rotated with 3 others in Xsitepro’s main header area with a link back to his main page in the directory…take note this could be a link back to the clients website if he had one. The above link locations are all areas that the local business directory owner could monetize. You could list the business in the links location for free and tell them they have the option to have their own page for X dollars a month. Of course there are many variations of pricing that could occur. Hope this might give you idea of what’s possible when creating your own local business directory with Xsitepro. This is the perfect platform to churn out business directories and in my opinion beats the pants of WordPress I might mention that it’s really easy to do some bartering for listings in your directory and a clients services and in my case I got a great deal on Mchenry Firewood! Ok…you have Xsitepro and you just purchased a package with 100 PLR products that come with resell rights. Now you’re wondering, How the heck do I get the sales page, thankyou page and download product into my Xsistepro Step…..maybe you looked around and really can’t find any easy answers. Sure, you can take the base html code from the salespage and enter it into the source area of your new page…..but have you tried that ? The stuff that comes out is pretty funky! The below post talks about a way to add as many pages you want that deviate from the main Xsitepro Template. Although he doesn’t reveal the secret, he shows some samples of what he’s done and will be putting together a video course explaining exactly how to do this……check out the post below, this could be what you’ve been looking for. I had a new user to Xsitepro ask me how to import PLR, RR, or MRR salespages such as I Hate PHP which is a PHP tutorial for beginners. Initially I knew there wasn’t any easy way to take prepackaged sales materials and import them into Xsitepro….but I went to work! I’ve been experimenting with xsitepro in an effort to find out how to add the sales pages, thank you pages and download pages that often times come with PLR and various Resell Packages. I’ve done some research and so far I haven’t been able to find an easy method of importing these pages into a xsitepro website. The reason is in part due to the fact that xsitepro is a template based system of creating websites and web-pages. Once you pick a template for your website you are pretty much committed or stuck with using that template for the entire site. Consequently every web page of content is placed within your choosen xsitepro template. If you wanted to add a standard html salespage from a resale rights package, somehow you would need overwrite or ignore the original xsitepro template. I thought I found a way to create a page that ignores the template you pick for the site. When creating a page, go to the advanced featues at the bottom of the page. You can select a radio button that says ignore site layout. I thought for sure this would be the magic bullet. So…I created a page, with the Ignore Site Layout selection ticked and thought I would be able to paste in the html code for the PLR salespage. I copied and paste in the salespage html as I mentioned, I knew I would have to also include the images so I used Xsitepro’s file upload feature to upload the images for the template. I should make note that I put the code into the “source page” of the xsitepro page editor. I had to change some of the image paths in the html of the sales letter and I then tested in the browser. It worked to some degree, however, some of the code was left out and when viewed the sales-page was corrupted. I tried the process several times with several different resale rights packages and it just wouldn’t work. Probably the most upsetting part was that the page was scattered, corrupted and mixed up when trying to view in the WYSIWYG editor. After trying several times, I found out that Xsitepro strips out the standard html code for a webpage and other code as well. Consequently, things like some images, background colors and background images did not work. Basically the PLR sales page looked like crap and would not be an acceptable way to promote any type of product. I also tried the same method with several different PLR products just to make sure the method wouldn’t work with all different types of html coding. I tried another method of importing html pages into Xsitepro using the import function of Xsitepro in the “Other” tab and the results were the same. In each method I tried to import and upload an html page into xsitepro I did so with the intent of being able to use the WYSIWYG editor in Xsitepro to edit the sales page. I wanted to be able to use the xsitpro editor to add Paypal Payment button code. I wanted to be able to edit the text and to add or delete images. Simply put, it could not be done! If there is a way of importing and editing a standard html sales-page from a PLR, Resell Rights or Master Resell Rights product with Xsitepro, I simply do not know about it and as Xsitepro version 2 stands now, it will be impossible to do. There is some good news for those who have PLR products and want to use Xsitepro to manage the pages. First you must edit the PLR salespage outside of Xsitepro. You can use a free program like NVU or Kompozer. which is in a directory that was created by Xsitepro! Then I used a super secret method of showing the salespage ….Php Tutorials For Beginners and I used the same method to include the thankyou page and the download product for I Hate Php. I think this method is pretty unique and I will reveal how to do in a pdf and a couple of videos. I plan to have the videos and pdf done in the next 2 weeks sometime and I’m sure many Xsitepro users will find this method an easy way to add either a whole directory of products or for adding one simple PLR product! I plan to set this up as an example for the process and will use the page at PLR Directory to set up a type of directory of a handful of PLR products just so you might see how to do it. Keep in mind, if you happen to be confused by the template at PLR Directory its simply because I haven’t changed it yet. Some might argue that Xsitepro really isn’t suited to compile, display and sell PLR, resell or mrr products. I would have to agree to a certain extent. However, remember, Xsitepro’s structure for SEO is superior to everything and probably equal to a blog. Plus, syndicating pages as xml or rss pages is extremely easy with Xsitepro and when the user implements all benefits provided by rss…..traffic will soar! Properly used, Xsitepro and it’s advanced features beats the pants off of any static html editor. I’ve seen far too many so called internet marketers claim that wordpress is far superior to Xsitepro. That statement is simply false and based on ignorance. They don’t know how to use Xsitepro and like most marketers they take the route of least resistance. Anybody can install a wordpress blog and write a blog post….not everybody can make the magic happen with Xsitepro! Here’s a followup on the new site The Best of Mchenry I set up on July 18th, 2009. I’m working on an Xsitepro Business Directory Template and set up an example on a new domain at www.BestofMchenry.com, unfortunatly I had one of my attacks and ended up in the hospital on the 19th, 20th and 21st so today July 22, 2009 is the first time I had a chance to check out the whether or not the site was indexed. As you can see from the screen shot Google indexed 10 of the new sites pages in 3 days. I wish I could have checked on the second day because I’ve been able to get new sites indexed in google within 24 hours and I suspect this has been indexed under 24 hours according to my web logs. That’s pretty exciting! I constantly read about people not getting any traffic or not being able to index their sites….Xsitepro owners included. Xsitepro has some pretty awesome tools that allow you to get your sites in the search engines quickly and I’ll give you a quick run down of what I did. First I created the site from the Xsitepro Business Directory Template and added a couple of business listings by creating some pages. Then I created an XML file for the site from within Xsitepro, this is bestofmchenry rss feed. Next I created a Google Sitemap from within Xsitepro. I submitted the google sitemap to Google and I submitted the RSS feed to some rss directories. The only other thing I did was to link back to www.BestofMchenry.com from this site and from new blogger blog. That’s all I did and at least 10 pages have been indexed….pretty cool huh! Now, the next thing to do is to start submitting some articles and press releases for keywords I want my clients pages to rank for. I’ll try to document my progress, I’m limited because of health reasons but hopefully I’ll get a few more clients and get this local business directory ramped up! Here’s the screen shot of the pages indexed by Google. New Xsitepro Local Business Template looks very promising. Simple design allows any ambitious internet marketer enter the offline marketing niche. Although not available yet, the Xsitepro Local Business Directory Template will soon be launched. Get on the notification list by signing up at the bottom of this post. Offline marketing can be very profitable and there are many different types of business models to follow. Basically offline marketing is the concept of helping a brick and mortar type business by using your internet marketing skills to give the business an online presence. From that definition you can see how it would be possible to come up with a variety of different marketing schemes. It could be as simple as creating a Blogger Blog with an opt-in form for building a list or even a Squidoo page with an otp-in form for list building. You could make it as complex as desired offering many different options for driving foot traffic to the offline or brick and mortar business. I’ve been working on a Xsitepro Offline Directory Template that is a little more complex than the standard Xsitepro Template and is designed for the offline marketer. The template can be used for a simple offline directory or offline portal to a very complex directory or portal. The below image is a sample Local Offline Directory in Mchenry, Illinois. This template is designed to be used by the offline marketer to go from city to city or town to town with the intent of advertising and marketing local business operations….driving traffic to their websites, advertising their business through appropriate keywords and marketing their businesses by offering list building through optin forms. The Xsitepro Offline Directory Template is designed to provide a multitude of monetization models. Across the top are 3 ads with images. These appear on each page and can be sold for $100 plus per month. The ads can be stationary or rotating. Below the 3 ads across the top is a Xsitepro’s dynamic menu. I’m working out a few kinks but it should serve perfectly as an easy method of navigation. The main panel is configured with a premium advertising space. The premium ad could start at $200 plus a month, of course it depends on the traffic you’re getting. The space would feature an image along with an advertising message which would contain a link back to the advertiser’s site. I haven’t really developed the left navigation colum yet. I’m not sure I like the scrap paper look….but we’ll have to see how it works out. The Nav Column could feature more ads or banner space to advertise along with providing some standard nav links. A rotating banner space could work out well….something like special of the day or week. Again, this feature would be sold as an add on. I think one of the most interesting features is the premium advertising page here’s an example for Forever Floors in Mchenry. Many small businesses don’t have a web presence, they do not have any type of web page and the thought of getting online scares the crap out of them. The Premium Advertising Page is basically a single one page website they can have. It includes their basic information along with an advertising message and a few images. Most importantly this page can be used to get them on Google Local. I have a few things to do on this page yet, but take a look and see how you might use this page. There’s more but this will give you an idea of what Xsitepro Offline Marketing Template will offer. All pages will come with basic templates that you simply copy and paste. Of course Xsitepro’s full compliment of features will be able to be used on the entire site. This will give you, the offline marketer, tremendous flexibility and power. I have to say the income potential with this type of template is unlimited. You are limited only to your imagination and ambition. You won’t get rich over night sending out a few emails….but if you approach this as a real business, get on the phone, knock on doors and figure out how to set up a local business directory in your own neighborhood, town or city…..you can then take this worldwide. Keep an eye on Best of Mchenry Local Business Directory and watch for my lauch of the template very soon! Leave your name and email address in the form below and you’ll get the template at a very special and reduced price when I release it…..only if you sign up to the list though! One method of designing and developing a website is by creating an image of the desired website and then using a program like photoshop to “slice” the image into sections which are then used to build your actual website. The same concept holds true to Xsitepro. Anyone with a knowledge of photoshop and understanding of how to slice images for importation into Xsitepro can create a website which is unique and looks exactly the way they want it to. Bascially, you can use just about any template as an Xsitepro website template if you know how to create the template. Xsitepro comes with many standard templates, and I must say the templates that come with Version 2 look a whole lot better than those that came with Version 1. Here’s a template I designed from scratch. So…your statement above about Xsitepro not using their own program is probably false, they just used a custom template to build their website. Using the standard provided templates are great for adsense sites. Quick product sites and even doing a quick site for an offline client. In my opinion you’d want to use a custom template to brand yourself and create your own look, if the website is your business or some sort of authority site you plan on spending a lot of time on. I created yet another free Custom Xsitepro Template! This xsitepro template is designed for anyone wanting to start building a website in the dog niche. The Xsitepro template is very dog generic and show work for any subject, however, if anyone wants it customized just drop me a line and I’ll customize the template for $25. I created this template for a free xsitepro website I did with some dog plr articles. The website is given away free when you purchase Dr Audrey Harvey’s Warrior Special Offer of Dog related PLR material. In brief you get dog plr articles, dog plr reports, dog plr ebooks and a dog plr website (from yours truely). However, you can grab a copy of the Custom Xsitepro .xse file for the Dog Template for free. Dr. Harvey’s package is being sold to raise money for the folks who have been affected by the fires in Australia. She’s a veterinarian who is familiar with those folks…..so please consider purchasing her package, the money is badly needed. Don’t forget, get your free xsitepro template here! Did you know that you can seamlessly add a wordpress blog to your xsitepro website? When the visitor is on your xsitepro section of your website he will, literally, be unable to tell when he wanders into your blog. I learned how to add a blog to my xsitepro website with a program called XsiteprotoWordpress. I was helping a person on the xsitepro forum figure out how to add a blog to his xsitepro website and answered a few questions below. I’m a bit confused. I was searching the forum and found some info. on adding wordpress to xsite. I was able to install wordpress via Fantastico through my hosting company, but not sure what to do next. Please help. Thanks. Someone answered correctedly and concisely about adding a wordpress blog to a xsitepro website. You cannot import one into the other. You need to create a custom WordPress theme based on your XSitePro site to integrate them. I commented further about the benefits of and how to add a wordpress blog to an xsitepro website. You have to look at your situation like this….you basically have two seperate websites…. At this point all you can really do is link one to the other. So you would have a link in one of your navigation coloums, footer, breadcrumb, any page or just someplace on your xsitepro website that links to your blog. The problem is that when they leave your xsitepro website and go to your blog….it becomes obvious to the visitor that they are moving from one platform to the other. In other words, they are either on your blog and going to your xsitepro program or from your Xsitepro to your Blog. I could work this way…and granted, most people only know how to do it this way. However, there is a system that teaches you how to seamlessly integrate your xsitepro website to your wordpress blog. In essence, your blog will look exactly like your xsitepro website, it’s impossible for the visitor to tell when the website ends and the blog starts! I’ve had a chance to check this out and it’s called XsiteprotoWordpress and the creator’s have gone to all lengths to make it understandable. I highly recommend it! Support is excellent and the course is in pdf and video. If you think the process of adding an wordpress blog to an xsitepro website is difficult and technical…think again. The creators of XsiteprotoWordpress have taken the effort and time to create one of the most instructional info courses I’ve seen about how to add a wordpress blog to an xsitepro website. 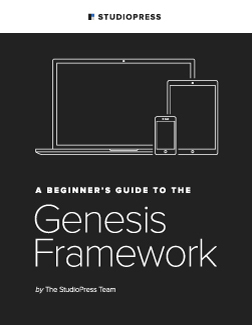 You get a full pdf that explains all aspects and you get a seperate pdf with all the necessary coding and code snippets…plus you get a complete set of video tutorials that take you by the hand to explain the whole process….and if that doesn’t do it, well, I can attest their support is second to none! They gurantee their product completely so don’t be afraid to learn something new….the benefits of having a blog attached to your xsitepro website will far outweigh the time you invest to learn how to do this process. Why….you ask? Blogs bring traffic….tons of traffic. Blogs allow for content management. Blogs will compliment a standard website in so many ways…well, its beyond the scope of this post. I have some software with resell rights that I want to sell on a website I have already built. I also already have paypal buttons set up for my own personal “website building” services. The problem is… I have to re-contact these people. This will not work if I am selling a software package with several different downloads. Does anyone know how to set up automatic download after a purchase is made through a PayPal button? You know… so I don’t have to manually send the stuff. I answered and offered a free ebook about paypal below. First you create a download page with xsitepro. On the download page you have links to the files that will be downloaded….ie, the products that were purchased. When you make your paypal button…there is an option that will ask where you want the customer to go after making the payment…..you would enter the full url of the page you created in the first paragraph. I put a paypal book up in this post, it’s free….plus the entire thread has some good conversation paypal buttons and how to download a product. Something you might want to think about. Instead of sending your customer directly to the download page, you should create a page that has an autoresponder form on it so you can capture their name and email address….. now you can start building a marketing list. Once they fill out their name and email address they would automatically receive an email from you with the link for downloading the product they purchased. I am not the best at designing a sales site, so I hired a person who did a great job for me. Then somone tried to explain how xsitepro uses templates and why you just can’t use an image or regular html. The information you are seeking is in the big manual Part U Page 266. I haven’t tried it yet, but as far as I can see, XSite Pro cannot import a full site prepped in another program, like dreamweaver. It can’t interpret the functions and paramaters used by the other program to understand what is required. It can do so if it is an XSite Pro product because it understands the formatting used. Like me, unilingual English trying to read the manual in French or Italian. I think you have to do some work. It is one of the larger sections in the manual. You will undoubtedly receive better information from more expert persons than I, as they scan the forum. Below is my suggestion to help Brian with is dilemma regarding converting an custom designed photoshop image into a custom xsitepro template. When creating a website with xsitepro most users will use one of the templates that are provided with the xsitepro program and use it to build their website with. Others will purchase a xsitepro template and import it into their xsitepro program as their template for their new website. Still others, like you, will have a custom template designed. Typically a template is created in photoshop or GIMP which are image editors. Next the image is “sliced” into pieces that then…..can be used in Xsitepro to build a template. This file is called an .xse file. So…at this point you are half way finished. The guy who designed and built your website template finished the image part of the process….next it has to be “sliced” into sections and imported corrected into Xsitepro so that you will have an .xse file. If you’re not following me, first you can’t use the files you have with Xsitepro. Second …..the files you have need to be manipulated so that they can be used in xsitepro. If you rather have someone do it, I can do what is needed, send me a PM, otherwise there are other people on the forum that might be able to help you. To recap….design the look of your website in photoshop. Next slice the images into sections that can be used in Xsitepro to develop a custom Xsitepro Template. The process is simple but you really need to hire someone who has experience in both Photoshop and Xsitepro.